Update: before you cut you belts, you probably better try my banana XY blocks! They replace the ugly wooden block that try to both hold the head rod and to tighten belt (and they fail at both in my opinion). 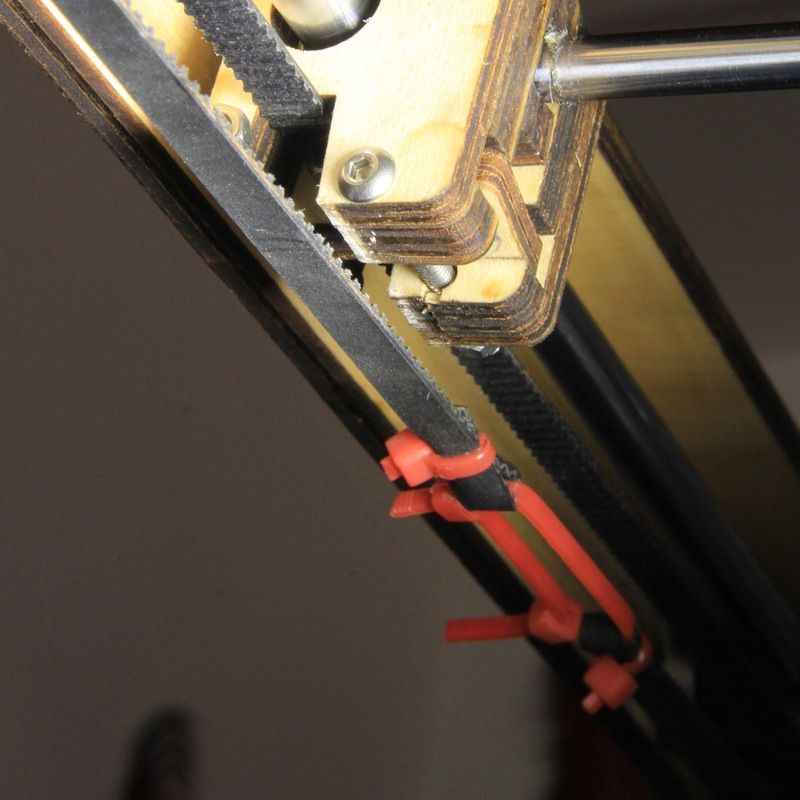 Back to the old post: I tried many ways to better tension my long X/Y belts (the short belts are another fixed issue). All other (PLA) printed belt tensioners I tried just failed miserably after a while because they could not stand the stress in the long term. Or they were bulky and hit the sliding blocks. So the best I found definitely were dumb zip tie tensioners ! Just cut your belts and use as many ties as needed. One of the best thing is that you can tighten the belts further very easily with the help of a small set of pliers.